Wildfire growth in the Nechako Valley, south of Highway 16, is causing yet another evacuation expansion. 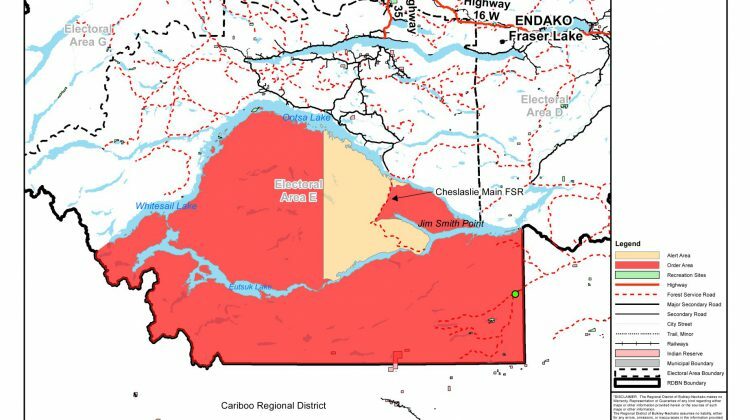 The Regional District of Bulkley-Nechako (RDBN) has issued an expansion on the both the evacuation order and evacuation alert for the Tweedsmuir Complex fires south of Endako. Residents living in these areas are asked to leave immediately. 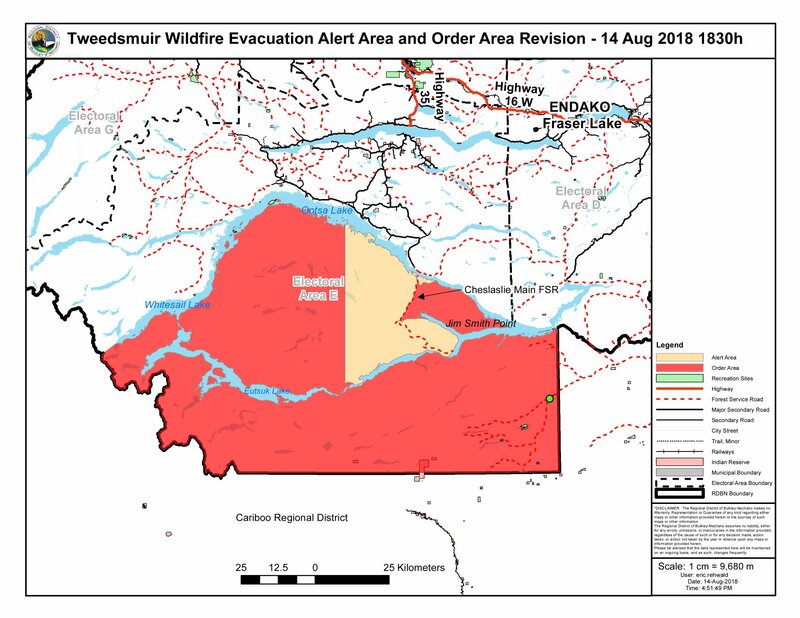 Those under the evacuation order are being asked to travel to Prince George and sign up with Emergency Services at the CN Centre as the College of New Caledonia (CNC) in Burns Lake has limited lodging. For more evacuee information on this latest update, you can click here.